WHAT IF GOD HAD PUNISHED DAVID FOR TAKING THE CENSUS, INSTEAD OF ISRAEL? One of the most perplexing events in the Bible is found in II Samuel 24. Herein we find that David appears to offend God by ordering Joab to take a census of Israel and of his army in particular (V. 2). Joab tries to discourage David from taking the census, but in vain. Finally Joab relents and fulfills the King’s wishes. In V. 10 we find that “David’s heart condemned him, after he had numbered the people.” In fact he confesses his sin and begs for mercy: “I have sinned greatly in what I have done; but now I pray, O Lord, take away the iniquity of your servant, for I have done very foolishly” (V. 10). Seven years of famine on the land. Three months of fleeing before your enemies. Three days of plague in the land. Wisely, David hands himself over to God’s mercy and asks that his punishment would not entail falling “into the hands of man” (V.14). Thus God “sent a plague upon Israel from the morning till the appointed time” (V. 15). The result? “Seventy-thousand men of the people died” (V. 15). What if God had not punished Israel for David’s sin? What if God had punished David instead of Israel? After all, was it not David that sinned? Why punish the innocent? Though seemingly perplexing and unfair of God, the truth reveals otherwise. II Samuel 24: 1 is the key that opens our understanding: “Again the anger of the Lord was aroused against Israel, and He moved David against them to say, ‘Go number Israel and Judah.’” God was, therefore, angry at Israel. Though the scriptures do not give us the details, God’s anger is invariably related to moral deterioration and abandonment to sin. This is the motivating factor for God’s decision to move David against them, that is Israel. I Chronicles 21:1 tells us that Satan was also manipulated by God to be involved in this event, as he “stood up against Israel, and moved David to number Israel.” Therefore, God inspired Satan to inspire David to do that which was unacceptable before God: number Israel. David fell into the trap and the result was the three punishments that, interestingly enough, would have been a great punishment on the sinful nation not on David. What if God had not punished Israel? 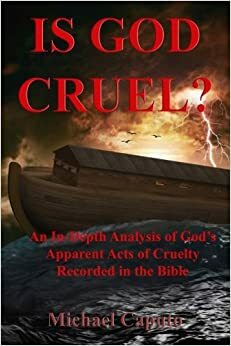 What if God had severely punished David and had left Israel untouched? Given the fact that God was angry at Israel for their sins, the seventy thousands that were killed by the great plague deserved to be killed. There cannot be unrighteousness with God. The innocent cannot be punished if they have not sinned and had not deserved their punishment. The plague was a perfect way to pick and choose among the people and consequence the most degenerate. If God punished David directly he would have not dealt with the focus of His anger. If He had spared the sinners among Israel, they would have deteriorated and their poison would have infected others. God’s mighty intervention reminded them that He would not bear any degeneracy among a people who were to be Holy. David was also reminded that God will intervene when and how he sees fit. The event also spotlights the nobility of David’s heart. By not being the recipient of the punishment, David could have stood quietly by until the scourge was over. Instead, he turned to God in prayer and said: “Was it not I who commanded the people to be numbered? I am the one who had sinned and done evil indeed; but these sheep, what have they done? Let your hand, I pray, O Lord my God be against me and my father’s house, but not against Your people that they should be plagued” (I Chronicles 21: 17). This prayer clear evidence to God that David was not selfish and calloused, that he was repentant, and that he was willing to take responsibility for his actions. This was further proof to God that David was clearly the right man for the job, and a man worthy of being an ancestor to the Messiah. Thus, by punishing Israel in this most peculiar way, God proved, once again, His intolerance of sin, His power to manipulate Satan’s mind, His just intervention against unrepentant sinners, and His great wisdom in testing key figures, such as David. Furthermore, by allowing this story to be included in the Bible record, God has given scoffers, throughout the ages, an opportunity to stumble, and believers an opportunity to exult at God’s justice and brilliance.